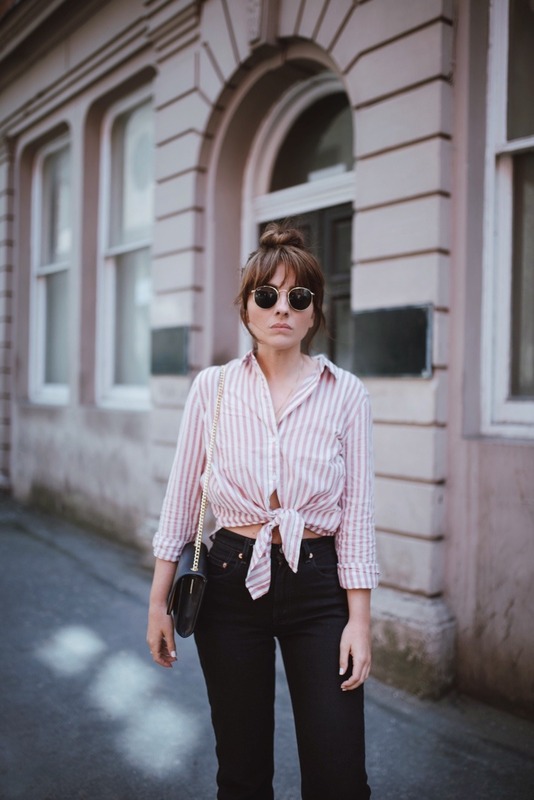 I picked up this little cotton stripe shirt whilst shopping recently, and intended to wear it over a bikini on holiday or tied loosely round my waist for a day at the beach. 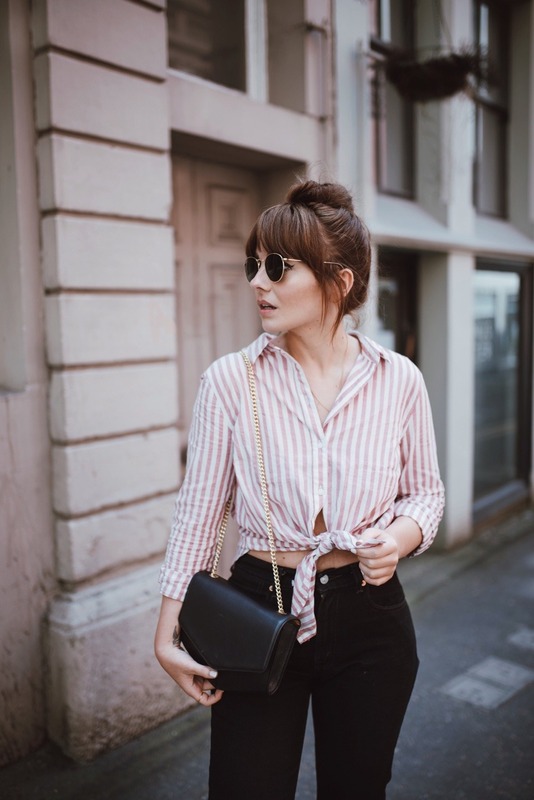 However, I LOVE how it looks with a simple black outfit – it has that summer rock n’ roll vibe to it that’s perfect for those days when I don’t fancy a summer dress. 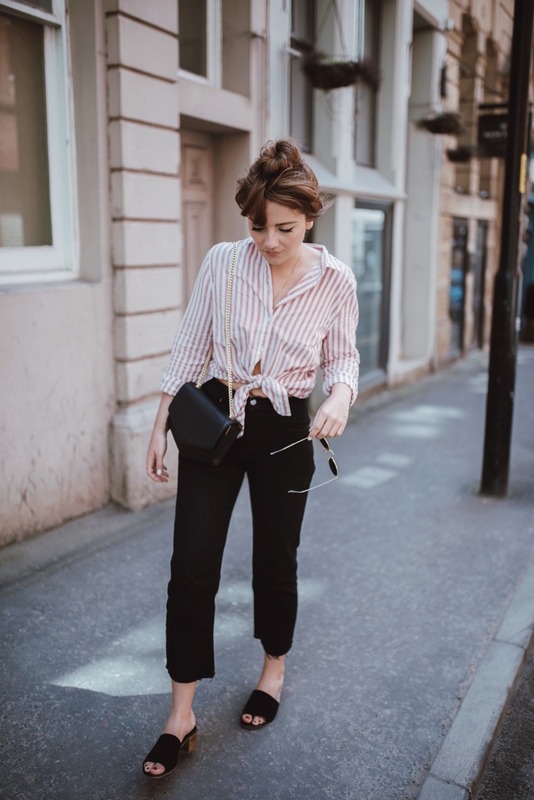 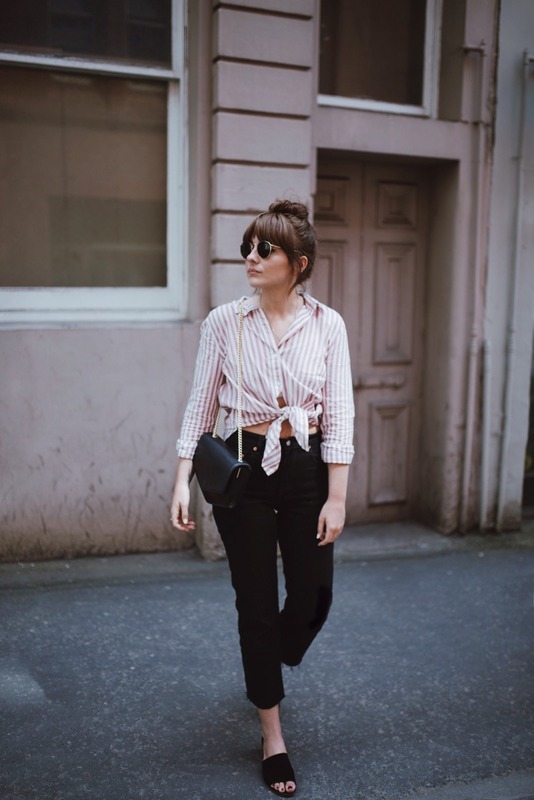 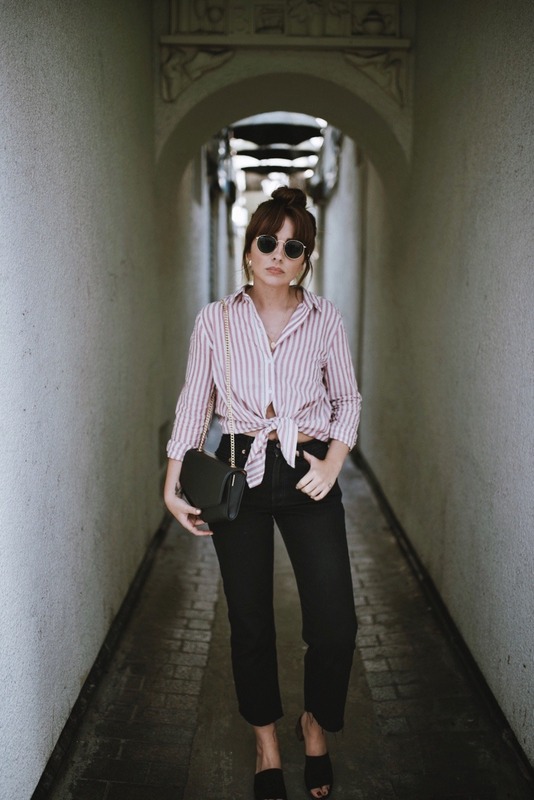 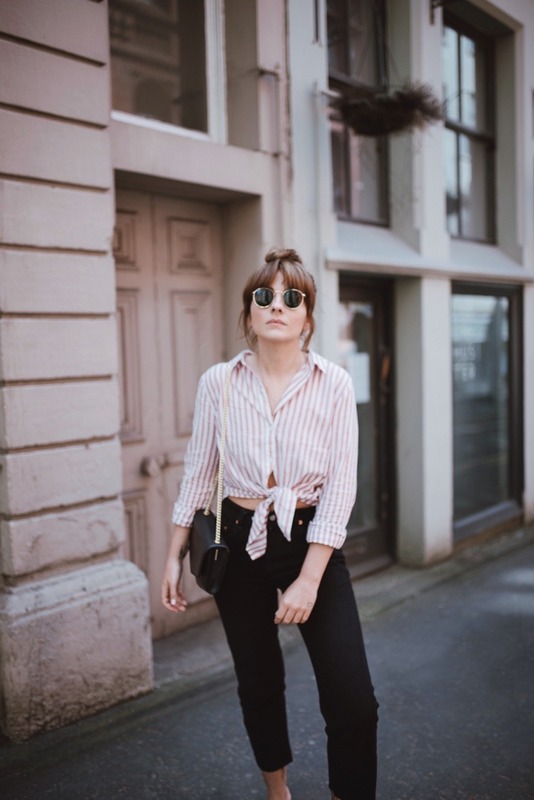 If you’re in the market for a perfect stripe shirt then I whole heartedly recommend H&M – I’ve picked up three over the last few weeks and they are such good quality whilst not breaking the bank too! 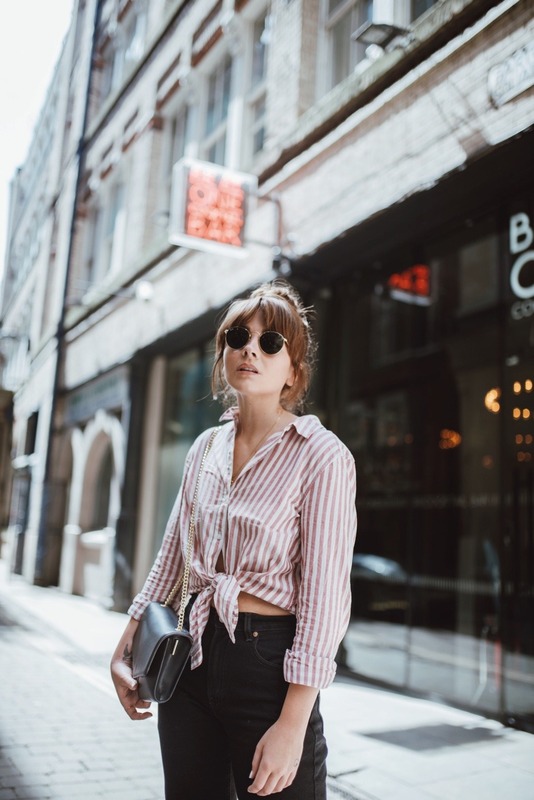 A simple stripe shirt is a staple for me, so it’s an item I tend to naturally gravitate towards whenever I go shopping – this one is such a breezy cotton material and would look PERFECT over a little red bikini on holiday! 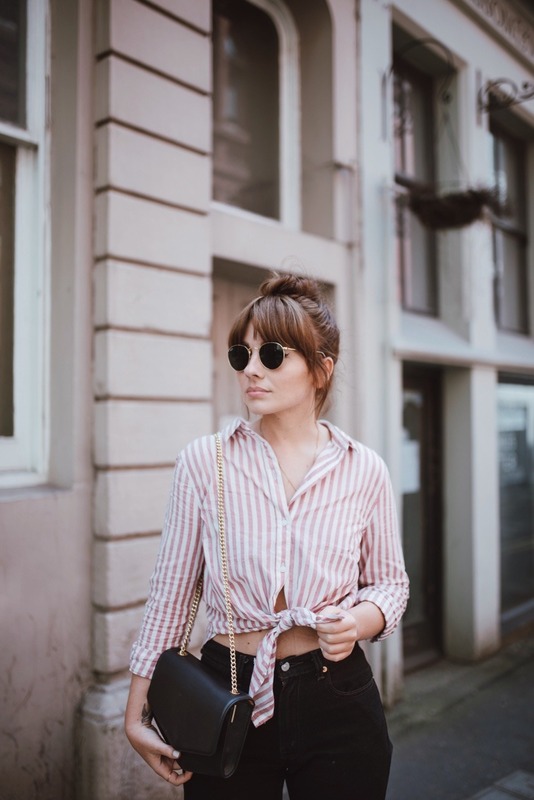 Beautiful outfit and gorgeous photography too! ? 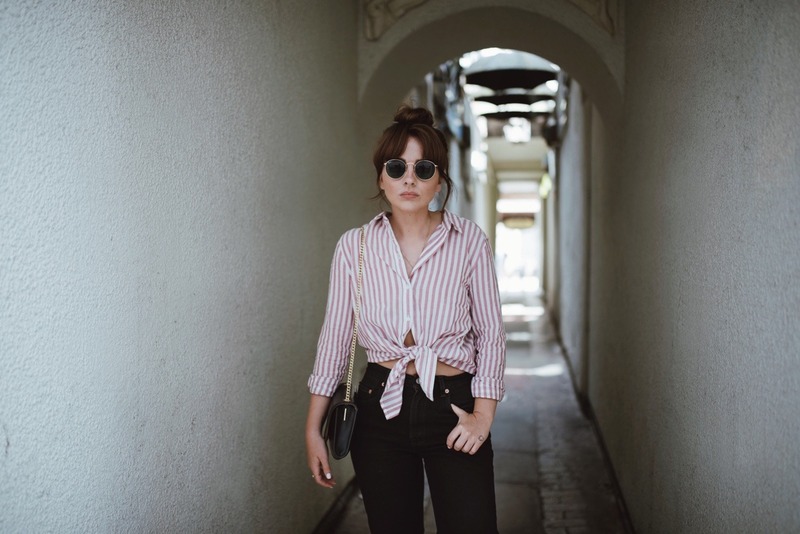 In love with your blouse!